Categories: Leadership, Management, Storytelling, William Cohen. Peter Drucker is an icon of the business world. The methods developed by this genius were so powerful that they are still used today in organizations all over the world. Yet one of his most important contributions is still little known. Drucker had uncovered principles of self-development that he put into practice himself – principles that enabled him to reach all of his life goals. Self-development by Peter Drucker – lessons from the greatest business guru of all time. 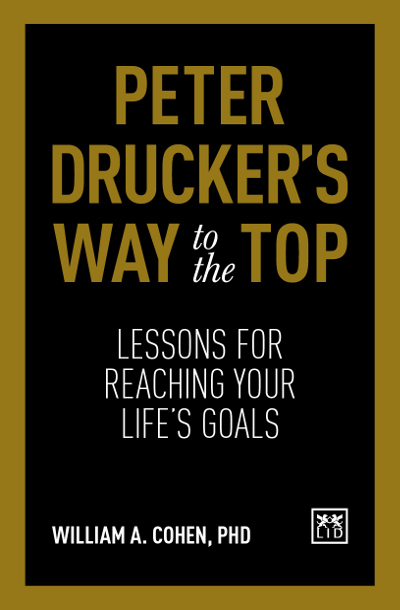 ● How to achieve your ambitions and goals the Peter Drucker way. ● The first examination of Drucker’s methods and techniques for self development. ● Practical and inspiring, this book is written by one of Drucker’s closest disciples. ● William Cohen is a bestselling business author, who has written five other books on Drucker. Bill Cohen is a bestselling author, whose books have been published in 23 languages. As a speaker, Cohen has spoken on five continents, and executives from more than 50 foreigncountries have heard him.